With the platform of motivational speaking individuals will learn and develop the skill to cultivate and master a path of life that would help in creating steppingstones from the past, and present. 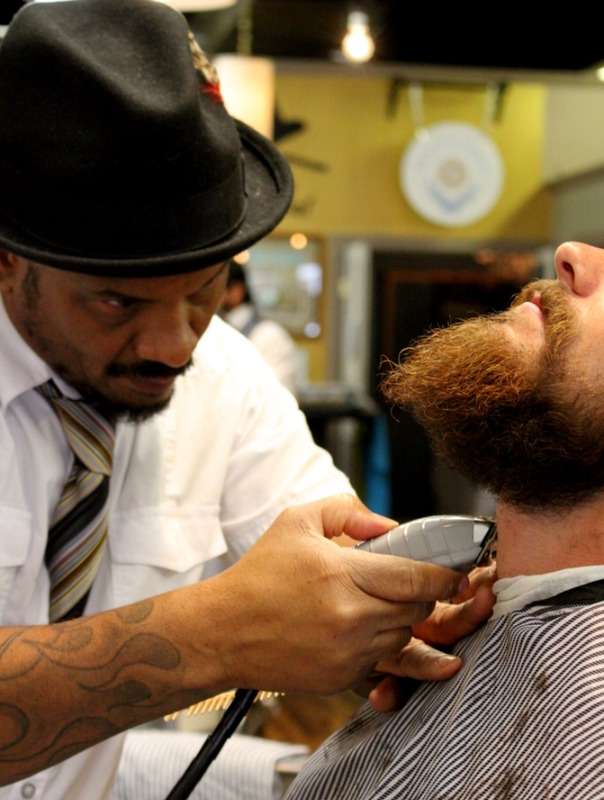 This is a one-day class that focuses on the classic 14 point shave. Students will learn the essentials of straight razor shaving and preparing the skin to best receive a comfortable clean straight razor shave. Each student will receive certification in this field with the successful completion of this course. This is a one-day class that focuses on choosing and using a set of clippers ,liners and finishing tools that will allow the practitioner to operate , calibrate and maintain while they practice the craft of hair grooming. This class introduces the practitioner to confidence building clipper cutting techniques which will insure to help the practitioner in increasing speed and expand their clipper cutting skills. Each student will receive certification in the field with the successful completion of this course. This is a two day course that focuses on the necessary structure of delivering a premium grooming experience. Students will expand on the ability of executing superior finish lines, various levels of tapering, a variety of fading techniques, and creating a base to visualize a superior haircut. Each student will learn to work with pre established hair growth patterns to allow the practitioner to secure a superior grooming experience. The development of this advance grooming skill set will serve the practitioner in working as a traditional barber in all areas of grooming. Each student will receive a certification in this field with the successful completion of this course.